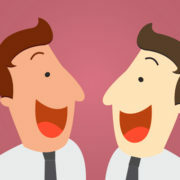 A significant amount of literature has been published suggesting that connecting leadership and learning through humor has a potential to significantly increase the productivity of a work environment. There are a multitude of methods by which an individual can connect leadership and learning through humor, which is largely dependent upon the situation. Not only humor allow one to delegate complex information in an easy and intuitive manner, but it provides one with a means to connect with their employees, thereby ensuring that all job functions pertinent to organizational growth are completed. Even though the contemporary work environment frequently utilizes humor as a means of leadership and learning, the amount of empirical research data elucidating on its efficacy is limited. Studies have been published suggesting that workplace productivity, employee morale and organizational growth occur when one employees humor within their practice; however, the qualitative data supporting this claim is insufficient. Therefore, an analysis of how one can connect leadership and learning through humor will be completed herein by employing quantitative research methods. There are numerous mechanisms by which one can connect leadership and learning. One could employ hands-on techniques in an attempt to provide those with a personal experience that will increase the probability of them executing the appropriate action in their future practice. Moreover, one could provide training seminars that presents a significant amount of information that clarifies on each facet associated with the process under instruction. Lastly, one could abandon the traditional business ideologies and understand the information that is being delivered does not need to be boring and tedious, but can be delivered in an exciting manner. In fact, Spillane and Sherer (2004) found that a teacher can increase a student’s retention of complex material by injecting humor into the curriculum, thereby increasing the student’s attention and awareness of the information being presented. A significant amount of evidence has been presented suggesting that there is a connection between leadership and learning where the use of humor greatly increases the receiver’s ability to comprehend and apply that knowledge moving forward. Therefore, an analysis of using humor to enhance learning and leadership must be provided to validate its efficacy. An effective leader is one who possesses a sufficient understanding of the organization’s mission, goals and primary objectives. An individual who possesses this knowledge will act in a manner that is in the best interest of the organization. Furthermore, understanding the current business market will increase the likelihood that an action is executed that has the greatest potential to increase the viability of the organization. For example, Friedman (2014) reported that one of the most proficient leaders in the contemporary business environment is Jeff Bezos of Amazon. Bezos is a pioneer of electronic commerce (e-commerce) and realized that there was a significant niche available for one to engage in Internet commerce. In addition, Bezos innovative the concept of predictive analytics, where a consumer is best matched with a product based upon their past viewing history. To continue, Bezos has revolutionized leadership by providing consumers with multiple options in regards to how they can acquire and return products. As a result of this effective leadership behavior, Amazon quickly became the largest Internet retailer in the world with a market valuation of approximately $268.14 billion (Friedman, 2014). To understand the association between leadership and learning, one must identify the characteristics and attributes that constitute an effective leader. The traits that an effective leader must possess are relatively intuitive; however, it is possible that an individual inaccurately utilizes their leadership attributes, thereby impeding their ability to positively influence those around them. This reduces the individual’s ability to convey information in an appropriate manner and therefore, limits the learning capacity of those being delivered the information. According to Brooks and Normore (2010), an effective leader is one who possesses knowledge and understanding, skills and ability to communicate, teamwork, visioning, risk-taking and recognizing the value in others. A brief presentation of each trait is provided below, in conjunction to a relevant business example that solidifies the importance of the trait. Vision, as per Friedman (2014), is a trait that allows the leader to analyze the future direction of the organization. Understanding the current organization’s environment is just as important as predicting the future fluctuations and therefore, an effective leader will take the time to critically assess future modifications that must be made to enable organizational growth. To continue, Friedman (2014) indicated that visioning via the application of teamwork can greatly increase a leader’s ability to predict the future of the organization. For example, a diverse organization is one that employs individuals from all demographics. An individual from one ethnicity will not possess the same life experiences as another. These unique life experiences provide one with the ability to critically assess and present resolutions that would be otherwise unfamiliar to other demographics. Therefore, Friedman (2014) suggested that developing a vision through teamwork can greatly increase the probability of an organization appropriate reacting to business changes in the future. Although risk-taking may seem counterintuitive to the success of an organization, possessing this trait is advantageous. The competitive, capitalistic nature of global commerce necessitates an organization to innovate products that separates them from their competitors. There is no guarantee that the innovation that is developed will be highly revered by the public and therefore, result in organizational growth. However, there is a likelihood that the novel product will be advantageous and increase the organizations revenue growth. In this manner, an effective leader is one who takes risk to increase the financial viability of the organization. Of course, there is a boundary between executing inappropriate and appropriate risks, which will be largely dependent upon the situation and the amount of resources that must be allocated to the risk (Friedman, 2014). There are a multitude of leadership styles that one can employee to improve the functioning’s of their organization. According to Ferren and Stanton (2006), no single leadership style is more advantageous and another and the application of each will be largely dependent upon the situation at hand. For example, the application of autocratic leadership will be more appropriate in situations where obedience and professionalism is essential. Conversely, a democratic leadership may be more appropriate when a more participative style of learning is necessary. As such, a brief introduction of the different leadership styles is necessary to understand why connecting leadership and learning through humor is appropriate. The experience of employees usually necessitates the type of leadership style that is utilized. Employees that do not require a significant amount of supervision are typically led via Laissez-Faire, as the employees are highly trained and complete their job functions with little-to-no feedback. Obviously, this leadership style is not advantageous for the majority of organizations, especially those that have higher rates of employee turnover (Ferren & Stanton, 2006). The autocratic leadership style allows managers to make decisions alone without the input of others. In this regard, the leader would possess all of the control and any input provided to the employees would be negligible. This type of leadership style is not commonly employed within the United States, but is more relevant in nations that have an autocratic-style of government (Ferren & Stanton, 2006). In opposition to the autocratic leadership style, the participative or democratic style welcomes input from team members and peers, but requires the manager to make the final decision. This leadership style is the most common in the United States and according to Ferren and Stanton (2006), has shown to significantly increase employee morale and productivity of an organization. Managers who utilize this type of leadership style provide employees with rewards and/or punishments depending upon how a certain task was completed. For example, a team will set a predefined goal that must be accomplished in a certain period of time. If the goals are accomplished, then the team members will receive an award for their actions, such as incentives, bonuses or time off (Ferren & Stanton, 2006). This leadership style has been shown to increase employee productivity, given that their actions have a direct result on the rewards that they receive. This leadership style requires managers to motivate their employees to ensure that a predefined goal is met. Effective leaders will employ communication tactics to reinforce the behaviors of employees, thereby increasing the likelihood that the task will be completed in a timely manner. These types of leaders typically focus on the long-term goals of the organization and execute actions that allow for this to be accomplished. Traditionally, organizations were viewed as a place of business that required continuous professionalism with minimal ‘joking around’. Although the importance of maintaining a professional environment with an organization is still relevant, many contemporary organizations have scaled back on the strictness of the work environment in an attempt to increase employee productivity. One highly advantageous method is the incorporation of humor within the workplace and evidence presented by Jonas (2004) does suggest that humor has a capacity to connect leadership and learning, thereby promoting a healthy and productive work environment. 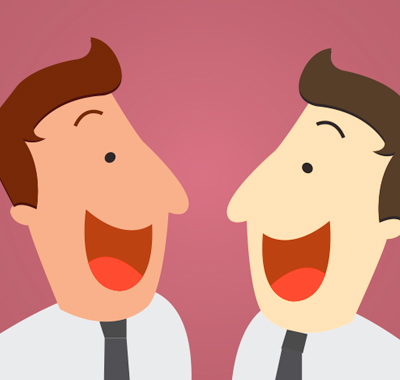 Developing appropriate types of humor within the workplace can be relatively difficult. The humor must be appropriate within an organizational environment; however, it must be lax enough to elicit a humorous response. For example, Jonas (2004) indicated that a leader can develop humor by assuming a joy is demeanor that exudes happiness and a willingness to engage those in the immediate vicinity. This will make one more approachable and will provide a more relaxed atmosphere that permits all individuals to interact in a more personable level. After the employees understand that joking is accepted, all individuals will begin to interact with one another in a more playful; albeit, professional manner. Furthermore, Winnail, Dorman and Stevenson (2004) reported that the appropriate use of body language is vital to the institution of a humorous environment. Nonverbal communication is just as important as verbal communication and a leader must be careful in how they present themselves to their employees. A leader should approach an employee in a welcoming manner with a warm demeanor that is easy-going. For example, Winnail et al. (2004) suggested that practicing one’s body language in a mirror, in addition to the types of humorous material that will be delivered to an employee, will increase the likelihood that the information being presented is in fact enjoyable. Gorham and Christophel (1990) indicated that there is a learning curve to humor and taking the time to analyze the leadership styles being employed within an organization will make one more effective when interacting with their employees. For example, it may not be advantageous for a transformational leader to joke when motivating the employees, as the joke may not be perceived in an appropriate manner. In addition, a transactional leader should not joke about the type of rewards that will be provided if the employees accomplish the predefined goals. As such, there is an appropriate time for one to engage in humorous behavior and understanding the situations where humor is appropriate will increase the effectiveness of this behavior. There are different methods by which a leader can employee humorous behavior to increase the retention of the information being delivered. The most advantageous, according to Jonas (2004), is the establishment of boundaries that provides all individuals with an understanding of what appropriate and inappropriate humor entails. It was mentioned above that a modern business has a plethora of ethnicities, cultures and races that have different ways of thinking. As such, a set of criteria must be developed that ensures that the humor being propagated is appropriate for that particular work setting. This will guarantee that the humor is having an advantageous effect on learning and is not resulting in the development of an inappropriate work environment that negatively impacts an individual’s well-being. Furthermore, an effective leader will engage all employees in the same manner. Boyatzis and McKee (2013) elucidate on the concept of compassion within the workplace and how engaging employees differently can result in the development of a hostile work environment. The environment is a hostile in a way where the well-being of an individual is threatened; it is hostile as a segregation will occur between employees where one believes that they are not permitted to joke around because they are not being engaged by the leader in the same way. Alas, this can significantly impede the productivity of an organization and therefore, must be avoided at all cost (Boyatzis & McKee, 2013). Humor, under the right circumstances, has the capacity to increase the motivation of the employees. If an individual commits a menial mistake, a leader could joke with the individual to express that the mistake is not significant and no way is reflective of the employee’s true performance. In this regard, the leader is reducing any embarrassment that the employee may be feeling while simultaneously reinforcing the positive actions that the employee has completed in the past. Therefore, the application of humor can reduce any adverse feelings that an employee may be feeling about a particular situation by making light of the mistake. One of the beneficial aspects of humor within the workplace is its capacity to increase the attention of the employees. If a leader is telling a humorous joke, Jonas (2004) suggested that there is an increased likelihood that the employees will be carefully following every word that is spoken. In this regard, the employee does not want to miss the punchline of the joke and attentively listens to find the humor. By incorporating humor within one’s leadership style, they can increase an employee’s attentiveness by making the information presented enjoyable. Jonas (2004) reported that a leader who is able to accomplish this will be more capable of delivering information with higher rates of retention. To continue, Muñoz-Basols (2005) indicated that it is essential that a leader reduce the use of phony or polite laughter as a response to humor. This type of behavior suggests that the individual is uncomfortable with the situation and desires to in the communication immediately. Again, this requires a leader to not only be proficient in verbal communication, but understand how one’s body language influences their behavior. If an employee is physically stating that the situation is making them uncomfortable and they are not enjoying the humor, then the communication should be ended and a more appropriate means of communication should be sought. It goes without saying that the type of humor that one employee finds enjoyable will not be the same as another. As such, the leader must take the time to understand what each of the employee’s desires or develop a humorous routine that is conducive to all of the staff. Bell (2009) indicated that humor can be used to increase an individual’s ability to understand a second language. Learning a second language is a difficult process that requires a significant amount of commitment. This increases the probability of burnout, where the individual loses interest in the second language as it is too difficult to learn. Bell (2009) found that injecting humor into the information being delivered significantly decreased the number of individuals who quit the second language course, in addition to higher test scores on all examinations. The same concept can be applied within organizational setting when the type of information being delivered is tedious and boring. Unfortunately, organizational data is not always pleasant to analyze; however, the incorporation of humor can increase an employee’s willingness to follow the information and this will lead to greater retention. second language classroom. Language Teaching Research, 13(3), 241-258. Renewing Yourself and Connecting with Others Through Mindfulness, Hope and Compassion. Harvard Business Press. leadership and globalization: Literacy for a glocal perspective. Educational Policy, 24(1), 52-82.
collaboration: The role of the chief academic officer. Greenwood Publishing Group. Friedman, S. D. (2014). Total leadership: Be a better leader, have a richer life. Harvard Business Press. teachers’ uses of humor in the classroom to immediacy and student learning. Communication Education, 39(1), 46-62.
learning with humor. R&L Education. Resources in the Teaching of Foreign Languages. The Bulletin, 42-46.
perspective on school leadership: Leadership practice as stretched over people and place. In Annual meeting of the American education association, San Diego, CA. leaders for school health programs: The national school health coordinator leadership institute. Journal of School Health, 74(3), 79-84.